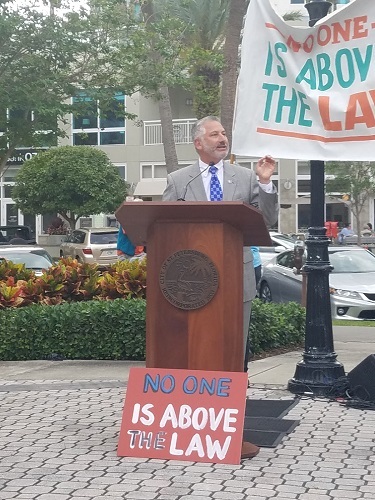 U.S. Rep. Charlie Crist and St. Petersburg Mayor Rick Kriseman rallied with Tampa Bay activists to demand that the Mueller Report be made public. 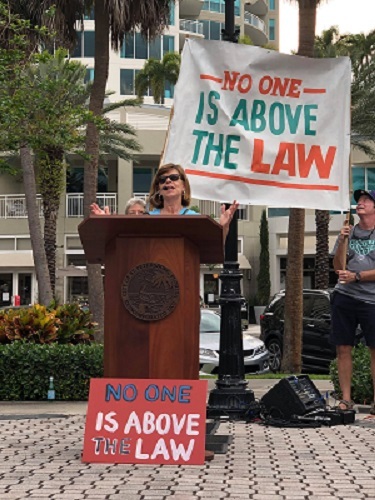 ST. PETERSBURG – U.S. Rep. Charlie Crist, D-St. Petersburg, St. Petersburg Mayor Rick Kriseman and Tampa Bay area residents gaathered at South Straub Park on Thursday (April 4) as part of a national day of action calling for Attorney General William Barr to make the findings of the Mueller investigation public. Barr received the report nearly two weeks ago on March 22. Barr wrote a four-page summary that he says represents the information in the report. But he has not provided the full report itself. On Wednesday (April 3), the U.S. House of Representatives Judiciary Committee voted to issue a subpoena for the full, unredacted report by by special counsel Robert Mueller into allegations of Russian interference in the 2016 U.S. election and charges of obstruction of justice by President Donald Trump. 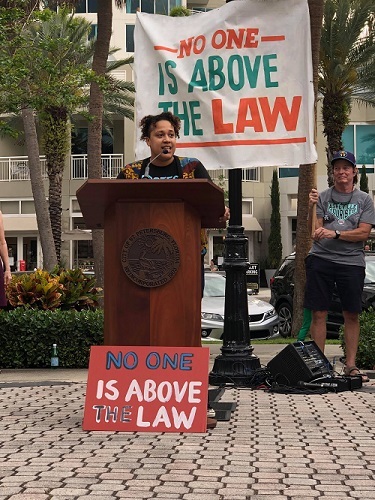 Crist, Kriseman and activist say it shouldn’t take a subpoena from the House of Representatives to get Trump-appointee Barr to release Mueller’s findings. A wide majority – 87 percent – of Americans agree that the full findings from Mueller should be made public. Deliberate attempts to stall the full release of the report after Barr’s hurried four-page memo, or attempts to hide the conclusions of the investigation from the public and shield any parties from public criticism, undermines transparency and the democratic process, they said. 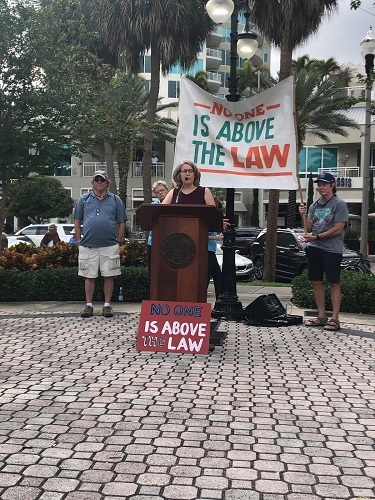 The South Straub Park rally was one of many held around the country on Thursday. The list of participating organizations includes For Our Future Florida , Fired Up Pinellas , F.A.C.T. , Allendale United Methodist Church, Progressive Democrats of America , Indivisible FL-13, and NOW (National Organization for Women). Main photo shows U.S. Rep. Charlie Crist. Photos courtesy of For Our Future Florida.